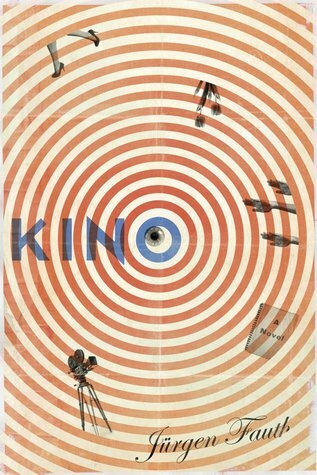 Kino is the tragic story of a silent film director in Nazi Germany and his modern day granddaughter’s quest to redeem him. When the long lost, first-ever silent film from legendary director Kino arrives mysteriously on his granddaughter Mina’s doorstep, Mina’s mission to discover the man she barely knew begins. As Kino’s journals plunge the reader into the depraved glamour and infectious panic of 1920s and 30s Germany, with a cast of characters including Joseph Goebbels, Fritz Lang and Leni Riefenstahl, Mina finds her mission may be more dangerous than she’d imagined. This book is an interesting quasi-thriller that combines questions on art with high speed car chases. Mina was a great character, flawed and yet engaging, and I enjoyed following her as she tried to discover the truth about her film-maker grandfather. The plot moves along at a good pace as we alternate between Mina's adventures and her grandfather's journal. With so many conflicting opinions about Kino, we struggle along with Mina to separate the truth from the fiction. At times the storyline felt a little 'Hollywood', but I got the impression that was an intentional choice by the author as it tied in with ideas in the story about the nature of art and intellectual property. Unlike a Hollywood movie, though, there is not a completely happy ending and Fauth leaves it to the reader to decide if things have been resolved satisfactorily or not. This book is an interesting, fairly quick read that both entertains and raises some thought-provoking questions. At times serious, at times quirky, this will appeal to readers who like something a little bit different.